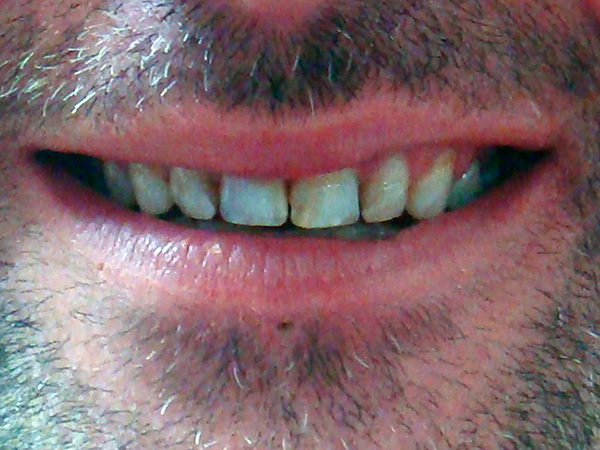 Jason received crowns and a new smile here at Northwood Cosmetic Dental. 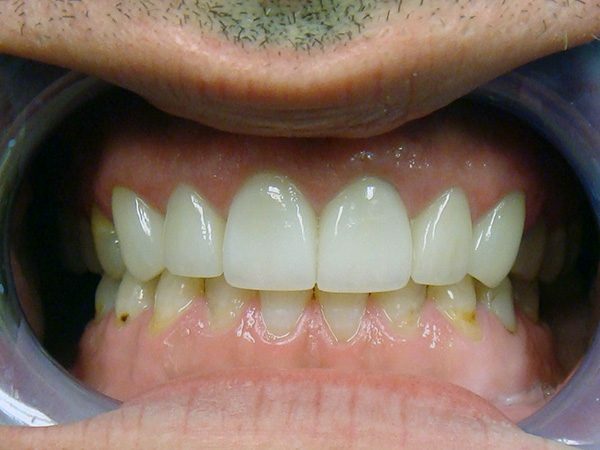 Here is a six unit anterior case we did. 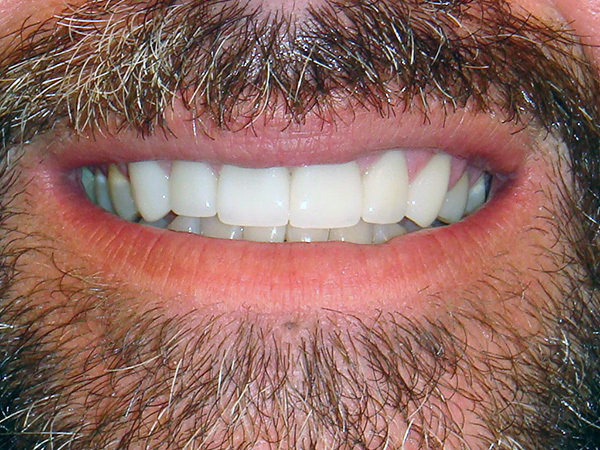 Jason had multiple areas of decay and multiple fillings in his anterior teeth and he was unhappy with his smile. 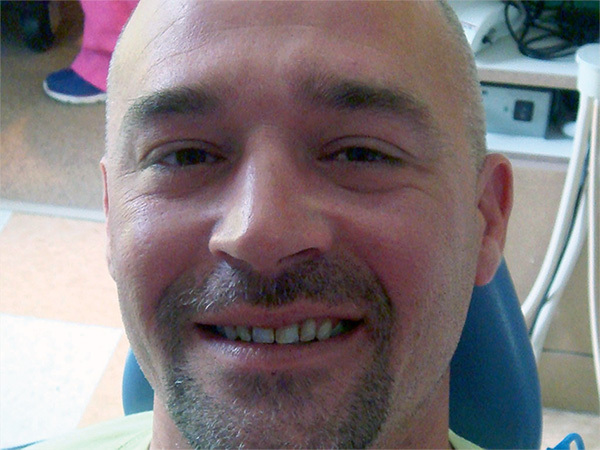 Jason also had a difficult time with getting numb. 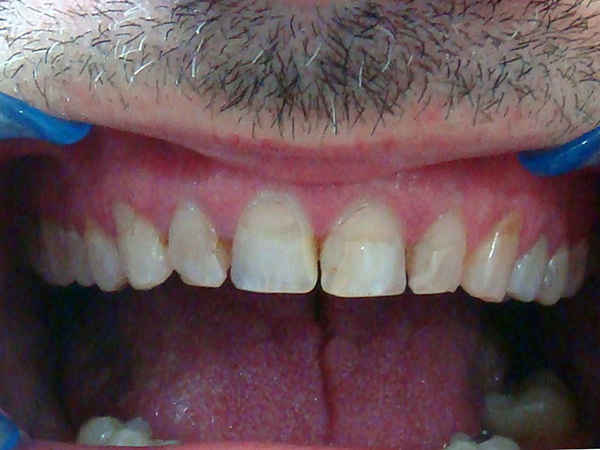 So we prepared his anterior teeth for crowns after a wax up and did this all under IV sedation.